New Level 1 Spanish Edition! 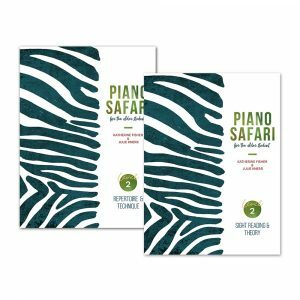 Piano Safari is with Julie Knerr Hague and Katherine Fisher. Julie, I'm so happy for you! I know you have wanted this for a long time and I'm so glad you found the one! 💖 your roomie! What a beautiful bride! Congratulations and best wishes for many happy years together! How wonderful!! Congrats Dr. Knerr Hague! Congratulations! Wishing you continued joy in your walk of life together. Congratulations! May you be reminded of God’s blessings as you proceed in life together! Best wishes on your life together. Congratulations!! God bless you both in your marriage! Congratulations, Julie! You look so beautiful! So wonderful! Thank you for sharing with us! Congratulations! You look so beautiful. Mazel tov to both of you and wishing you every happiness together!! Congratulations!! Many Blessings for a wonderful life together!! Oh Wow, Congratulations! Such wonderful news! Congratulations!! You are such a beautiful bride! Congratulations! You are a beautiful bride! Happy wishes to you both! Congratulations to Julie and Bill! Wishing you many wonderful years together!!! Congratulations, Julie! You look beautiful and so happy! Congratulations and wishing you God's blessing on your lives together! SO happy for you, Julie! You're beautiful! Hello “back room” people! I appreciate you every time I open a delivery! I love your books for beginners. But I have a transfer who reads beyond the first telwo levels but needs the technique. I also would like to use some of the rote pieces. Any suggestions for how to deal with this? He's only 9, but a very quick learner. Looking for repertoire. I love your books and so do my students!!! One thing that happens to all of them, the covers come off their books. I think it’s the spiral binding. Maybe this could be improved? Even though we are not at the MTNA conference this year, the "conference savings" continue through Wednesday, March 20th! I will post the ad with our tour schedule! In addition to what you see, there is also a workshop on May 4th in London and May 5th in Oxford. Can you let me know how to book to come to a UK workshop please? What is your England tour schedule? Thank you for the discount! It is a superb teaching resource... I was really excited to finally get my own copy of this today at the Music Expo! Piano Safari shared a post. The next Inspiring Artistry module is now available! Head to ClavierCompanion.com to see the full video and teaching tips from Dr. Julie Knerr for "Spinning Song" by Ellmenreich. Inspiring Artistry modules focus on pedagogical approaches from leading teachers and provide detailed guidelines for the preparation, practice, and mastery of standard elementary and intermediate literature. 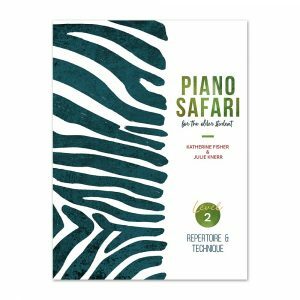 In addition to videos, modules include downloadable teaching tips that will offer new insights and ideas into works by familiar composers. None in the West Midlands? Will you ladies be at MTNA again this year? Loved the previous workshops last February. 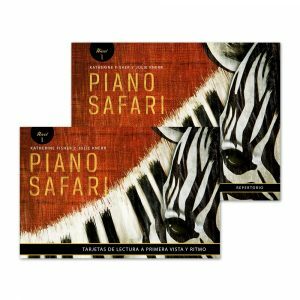 Really looking forward to this one now that I’ve been using Piano Safari for a year in my studio. Sorry I can't make any of the dates! Adult student is loving the older beginner books. What is the role of rote teaching in the development of reading, technique, and artistry? Check out these proceedings from NCKP 2015 in which Julie Knerr and Katherine Fisher discuss the benefits of rote teaching.